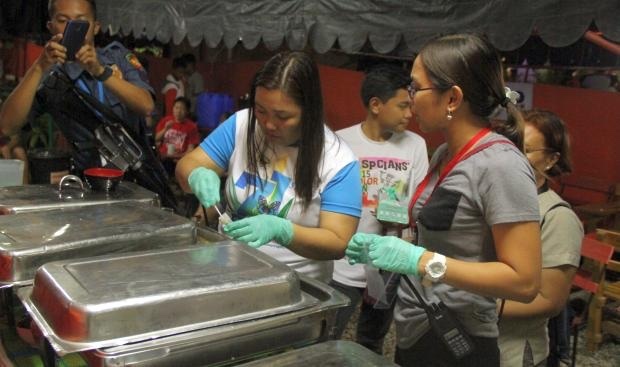 ORMOC CITY — Sixty-six young athletes from the Biliran school division delegation fell ill due to food poisoning on Saturday night in this city. Jasmin Calzita, regional information officer of the Department of Education (DepEd), said these athletes were participating the Eastern Visayas Regional Athletic Association (EVRAAR) Meet, which would formally be opened in Ormoc City on Sunday. The athletes experienced vomiting, nausea, abdominal pain and dizziness after eating dinner past 7 p.m. at the mess hall of Ormoc City Senior High School where they were billeted. Calzita said the athletes were rushed to the different hospitals in Ormoc City. As of this writing, least 42 were already discharged while the rest were still confined. Calzita said they had yet to determine what caused the food poisoning pending results of the laboratory examinations. The food was prepared by a catering service brought in by the Biliran delegation. “It was agreed that during the opening on Sunday [that] those who fell Ill would not be allowed to join the parade so they could rest,” she said. Calzita also assured that the incident was isolated. “We would like to assure the parents that their children are OK now and we are taking care of them to ensure their immediate recovery,” she said. The Biliran delegation is composed of 821 people, including coaches.